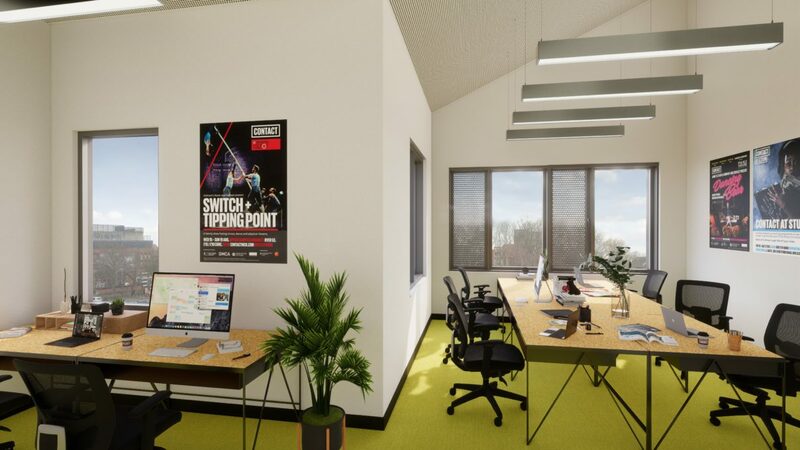 When Contact reopens in early 2020, we will be offering exciting new co-working opportunities and office hire. With desk space and exclusive office rental available, we’re offering freelancers and small teams of up to 9 people the chance to be embedded at the heart of one of Manchester’s most progressive cultural hubs. Users will have access to high-speed internet, a private meeting space and kitchen facilities. Not to mention a buzzing social scene. Our refreshed bar and café will be serving a vibrant new menu, and will be the perfect setting for informal meetings over a coffee, forging new relationships or simply taking some time out. We are currently inviting expressions of interest. If you’re looking for a contemporary, collaborative work space in a creative environment, please email us at hires@contactmcr.com, or call Simon on 0161 274 0642.